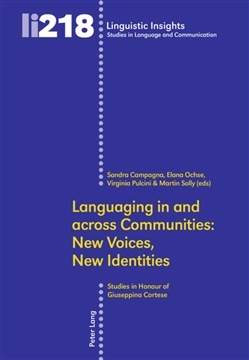 The title of this volume intentionally echoes that of a landmark issue of Textus on «Languaging» in and across Human Groups, edited by Giuseppina Cortese and Dell Hymes in 2001, since the notion of ‘languaging’ seems to capture most effectively the essence and the continuity in the life and work of Giuseppina Cortese, to whom the book is dedicated. It brings together contributions by a number of distinguished scholars that shed new light on current developments in this dynamic area of discourse analysis, especially taking into account recent research and emerging insights on speech communities and communities of practice. The sections in the volume are designed as main threads of a new investigation into ‘languaging’. The first, entitled Languaging Awareness, deals with recent findings in applied linguistics, exploring key topics in language acquisition, language learning and teaching and the changing role of the media. The second section, Languaging Identity, prioritizes the theme of the construction of identity in text and talk within a linguistic and languaging framework. The third section, Languaging Community, explores the notion of community, of the lifeworld and the textworld emanating from a variety of domains, closely inspecting contemporary events and showing, on a continuum with Cortese’s approach, how memory of the past gives depth of meaning to a discourse analysis that is geared to linguistic and textual awareness. 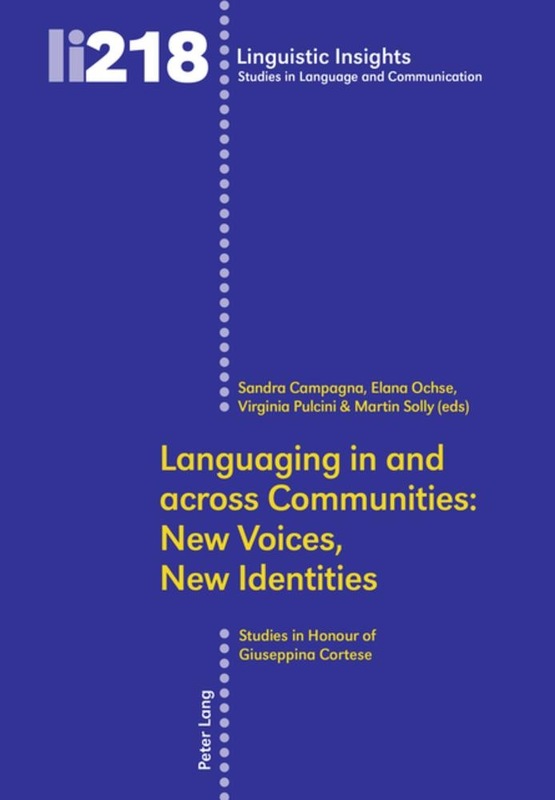 Acquista Languaging in and across Communities: New Voices, New Identities in Epub: dopo aver letto l’ebook Languaging in and across Communities: New Voices, New Identities di ti invitiamo a lasciarci una Recensione qui sotto: sarà utile agli utenti che non abbiano ancora letto questo libro e che vogliano avere delle opinioni altrui. L’opinione su di un libro è molto soggettiva e per questo leggere eventuali recensioni negative non ci dovrà frenare dall’acquisto, anzi dovrà spingerci ad acquistare il libro in fretta per poter dire la nostra ed eventualmente smentire quanto commentato da altri, contribuendo ad arricchire più possibile i commenti e dare sempre più spunti di confronto al pubblico online.